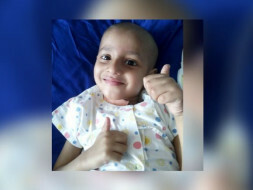 Nibha Singh, a resident of Bangalore, is a working mom of a 4 year old baby boy named ATHERVA GARG, who has been diagnosed with 4th stage Neuroblastoma Cancer and is currently undergoing treatment in Tata Memorial Hospital (TMH), Mumbai & under the supervision of Oncologists for the last 5 months. And, this has taken every bit of peace, happiness and finances away from them. Both husband and wife belong to middle working class and are currently employed with IBM and Tata Coffee respectively. They have stood tall against this situation and are determined to fight this but financial requirement is one thing which seems to be suffocating by every passing day. They first came to know about this disease 7 months ago in the month of August 2016 when a swelling on their son’s neck was seen and immediately consulted their regular paediatrician. On the basis of few blood tests, Ultrasound & X-ray, he suggested to go for lymph node biopsy at Mahaveer Jain Hospital (BMJH), Bangalore. On 3rd of September Atherva went through Biopsy surgery & the report received on 8th of September showing positive signs of round cell tumour. 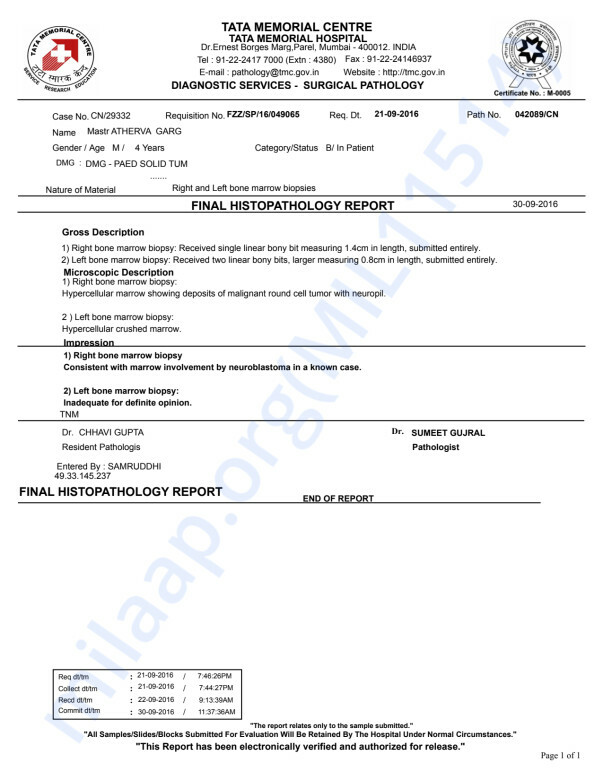 Oncologist at BHJH referred them to Kidwai Memorial Institute of Oncology, Bangalore. 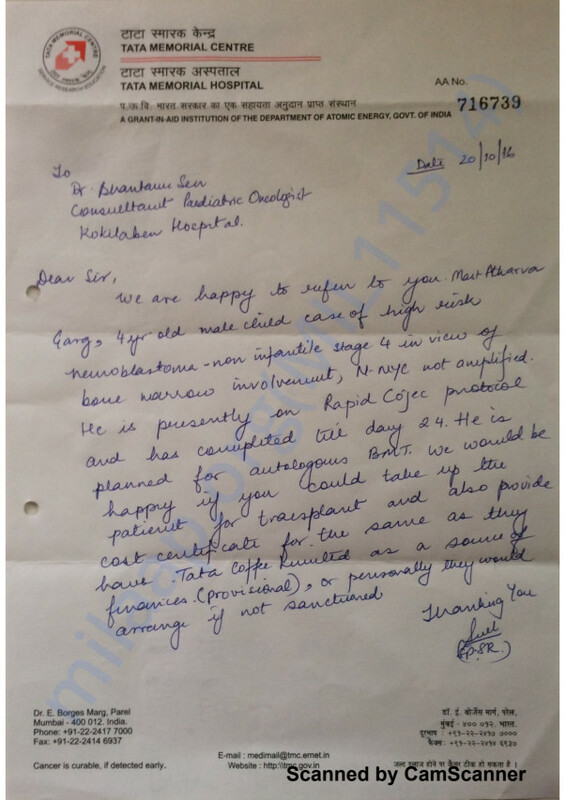 On 9thSeptember despite having commutation complications during Karnataka band, they somehow arranged to meet Dr. and started with several tests to reconfirm the damage and start with treatment. Again, depending on findings / test reports, they were told that Atherva was suffering from high risk neuroblastoma cancer -4th Stage on 15th of September and immediately suggested to rush to TATA Memorial Hospital, Mumbai. On 19th of September, they met the Oncologist and started with the treatment. 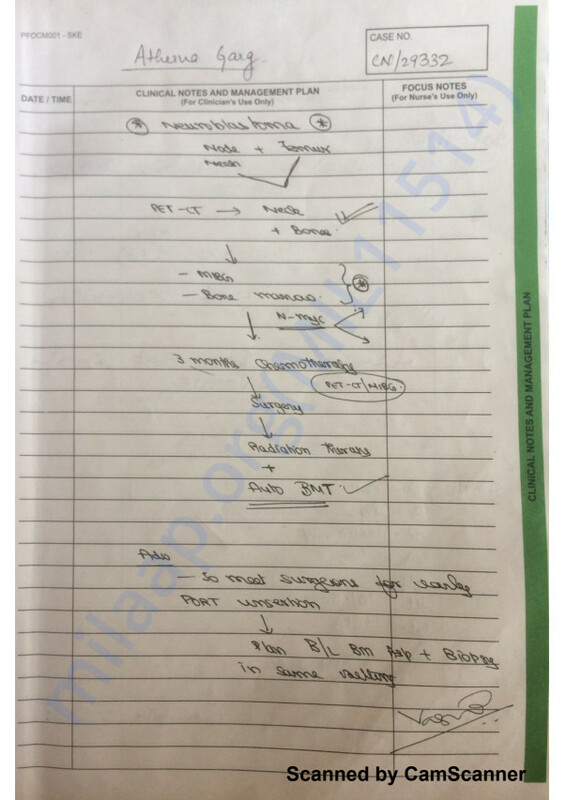 The initial plan of treatment (enclosed for your reference) was to give 8 high doses chemotherapy with periodic bone marrow assessment to trace the progress, surgery for removal of the tumour, Auto BMT (Bone Marrow Transplant) and Radiotherapy along with immunotherapy. 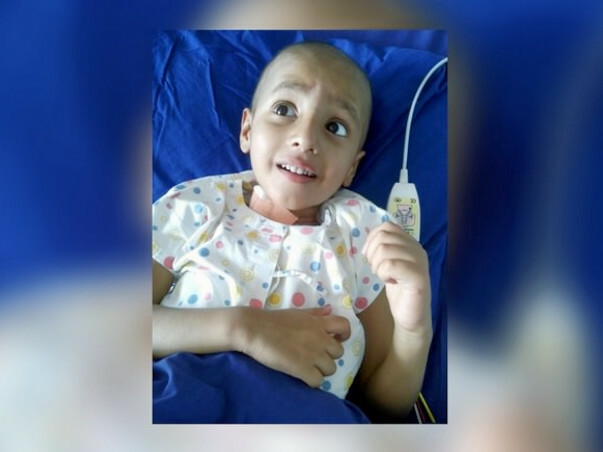 With God's grace and his will power, Atherva completed his chemotherapy successfully on time then he went through surgery on 31st December 2016. Now upon recovery and as specified by the doctor they took him to KDAH for his bone marrow transplant as scheduled. Unfortunately due to poor stem cell harvesting (part of the transplant procedure), after spending around 12 day, doctors have decided to give a break and again readmit him for transplant procedure to complete which is scheduled on 3rd of March 2017. While going through all these hardships, Nibha and her family have already spent around 11 lakhs on his treatment and now completely drained out with their financial capacity and capability. They have also exhausted the insurance limits and now loaded with several borrowings. When they were searching for a donor for O+ is when I came to know of what the family was going through and learnt that the child needs funds for further treatment. An estimate of an immediate support of 19 Lakhs is calculated at their end. Another chance for you to be closer to God! I want to thank you all for supporting my son. As of now, Atherva is undergoing his 9th cycle of chemotherapy. He is in the hospital right now for the same. There are a few tests lined up, and based on these tests they will suggest how many more cycles of chemotherapy he has to undergo. They have planned for a total of 10-12 cycles. This could change, depending on the test results. He has a few side effects of the chemotherapy such as fever and weakness. He received medication for the same and is doing much better now. He is responding well to the treatment. Thank you all for your love and support. It means a lot to us. Unfortunately, Atherva’s cancer has hit back and is undergoing chemo sessions in Bangalore now. His mother called and she is slightly heartbroken but yet strong and determined to fight this battle. We had recently spoken where she reached out for help again. Will help her as she requires it. We shall keep you posted. Here's a quick update we received from Major Aditi Mohan. "Atherva has been discharged. He is better now. Radiotherapy is planned from 4th of May. This is the status as of last week"
Wish him for a speedy recovery.